Jackie McLean or “Jackie Mac” as he is known to his fans, was the most original alto saxophone player to emerge from that first generation of jazz players shaped by the all pervasive influence of alto saxophone player Charlie Parker. Bebop, the style of music of which Parker was the principle innovator, became the dominant style in jazz from the nineteen forties onward. Parker changed the way musicians played music. His influence went far beyond the realm of alto saxophone players. Parker revolutionized the rhythmic concept of jazz by incorporating new and sophisticated rhythmic accents into his music. The role of the jazz drummer was forever change. Jazz players who performed older styles of the music incorporated many of Parker’s rhythmic innovations into their music. Parker completely revolutionized the manner in which jazz musicians approached harmony. His use of advanced chord structures in his music laid a foundation for jazz musicians which has inspired every succeeding generation of musicians. Then there was Parker the brilliant alto saxophone soloist who developed a brand new blues based musical vocabulary for not just his instrument but for all jazz players. Only Louis Armstrong had caused such a change in the way a soloist played their instrument. Given this context it is even more amazing that a young saxophone player, like McLean, who knew Charlie Parker personally, would develop such a unique and original style. Parker encouraged McLean to find his own sound and uniquely among alto saxophone players of his generation McLean successfully followed Parker’s advice. Now in his seventies, Mr. McLean continues to perform in varying musical contexts, ever refining his unique and singular sound. In fact the thing that makes Jackie McLean’s music so unique is his sound. Once heard, Jackie Mac’s sound is immediately identifiable. His sound has a piercing, penetrating quality that is so intense and filled with passion that sometimes it almost hurts. Jackie’s sound cuts right through to the core of your being where all of your emotions reside. Whether happiness or sadness or any emotion in between, McLean will touch you. Jackie will hit notes, while he is soloing, that will make you cry with pleasure. He makes you hurt so good. McLean’s sound conveys to me the sound and feeling of New York City, probably as much as any jazz player. His sound and music are so filled with the searing pulse which is that city. I hear the streets of Harlem in McLean’s music, even in a tune named “Appointment in Ghana” I hear New York. The musical tempos of his music are often fleet. Jackie traverses the complex harmonies of his tunes and jazz standards with both ease and finesse. McLean’s music draws you into its magic by being both intensely passionate and harmonically interesting. 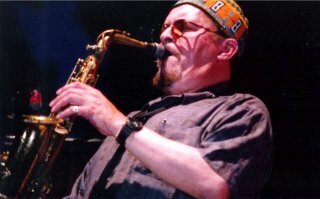 Jackie McLean has had a five decade performing and recording career. He has taught music at the Hart School of Music in Hartford Connecticut for over twenty years. Do not pass up an opportunity to see Mr. McLean perform live. His performances are unforgettable. There are many Jackie McLean recordings available for purchase. He also performed as a regular sideman, during the nineteen sixties, on many Blue Note Records recording sessions led by musicians such as trumpeters Lee Morgan and Donald Byrd. During the nineteen fifties he recorded with trumpeter Miles Davis and bassist Charles Mingus among others. I would recommend for an initial purchase the albums Swing, Swang, Swingin from the nineteen sixties, Old Wine, New Bottles from the nineteen seventies and Hat Trick from the nineteen nineties. These albums are representative of Jackie McLean’s mature style. These recordings convincingly demonstrate the relevance of Bebop as a contemporary musical style fully capable of serving as a vehicle for expressing a twenty first century sensibility. Bebop lives.